Easter is such a fun holiday because not a lot goes into preparing for it (Unless you are the one responsible for filling 150 plastic eggs filled with candy and coins. I love you Grandma!) 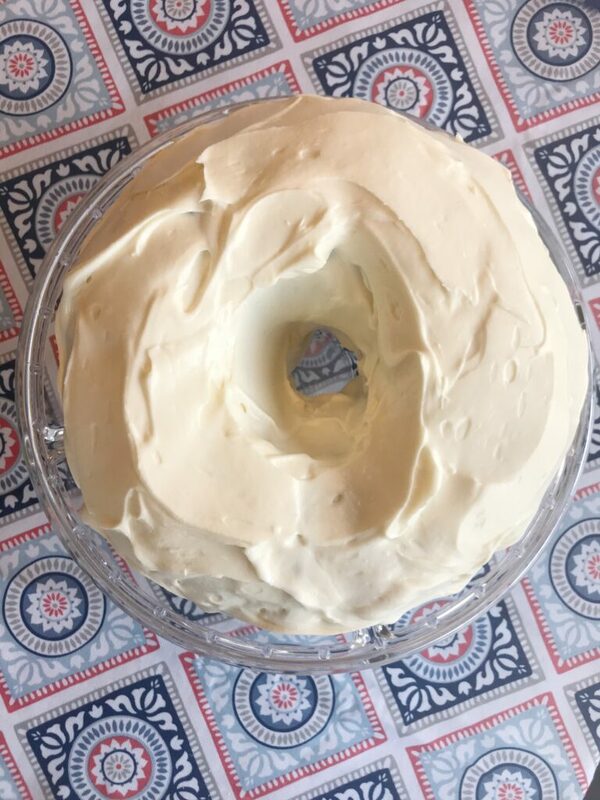 Ever since I discovered this made-from-scratch carrot cake with cream cheese frosting, I have been asked to take it to both of our Easter celebrations every year. 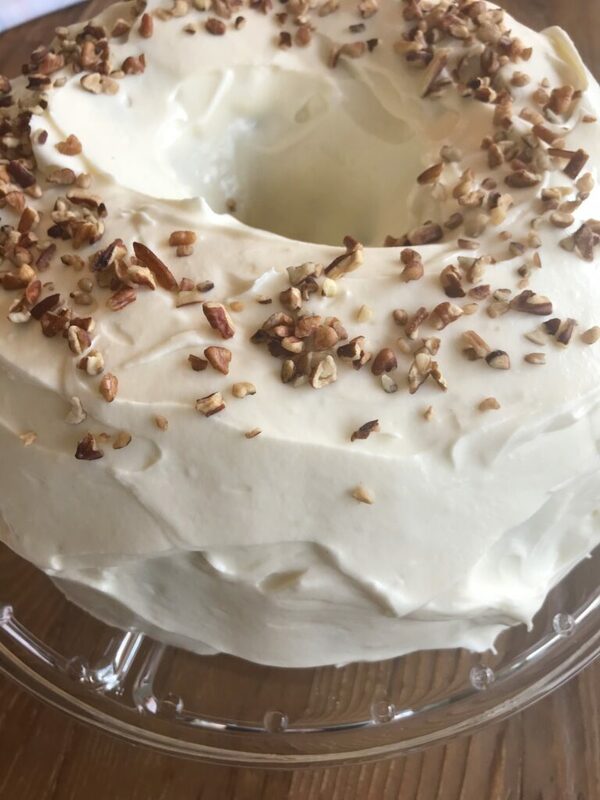 The cake is so moist and flavorful and the cream cheese frosting is super decadent. 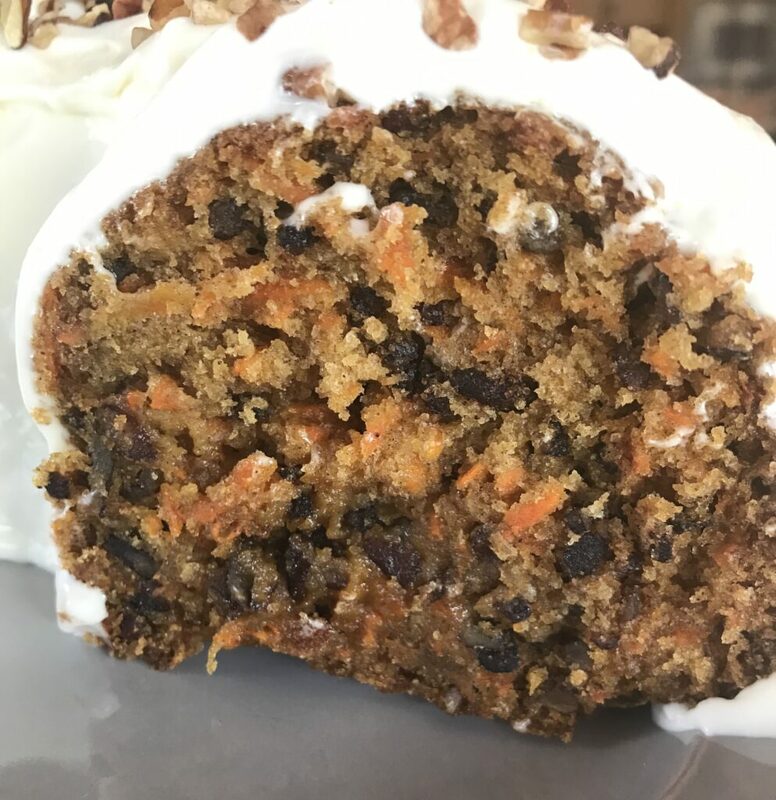 The grated carrot adds a wonderful flavor and also makes the cake itself, gorgeous. 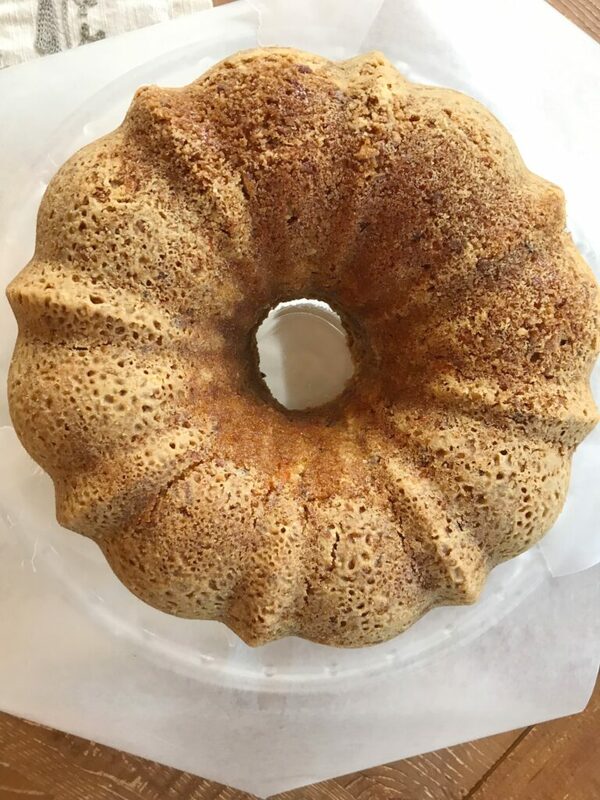 I like to use crushed pecans in the batter and also sprinkled over the top which adds a nice element of crunch. 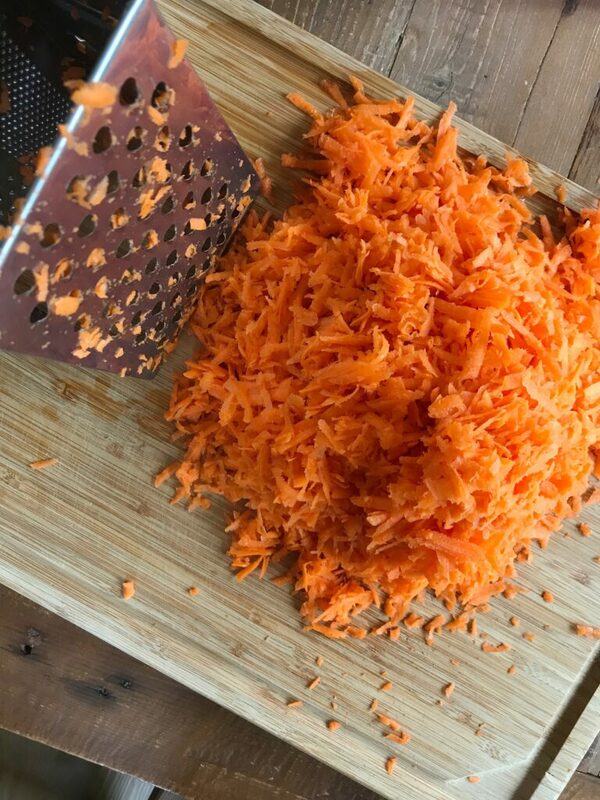 The hardest part of this recipe is grating the 3 cups of carrots. My hand gets tired! I know there are fancy grating machines out there, but I like to use my vintage (circa 2006) box grater. I have figured out that I can hold two carrots at a time to make the process faster. Whew! I bet you didn’t know I was so innovative! 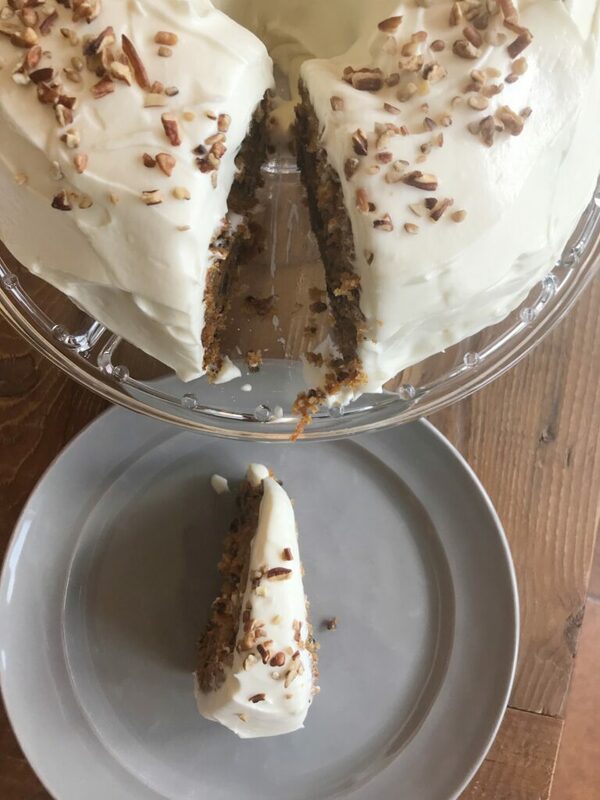 Take this made-from-scratch carrot cake with cream cheese frosting to your next party this spring and impress everyone. 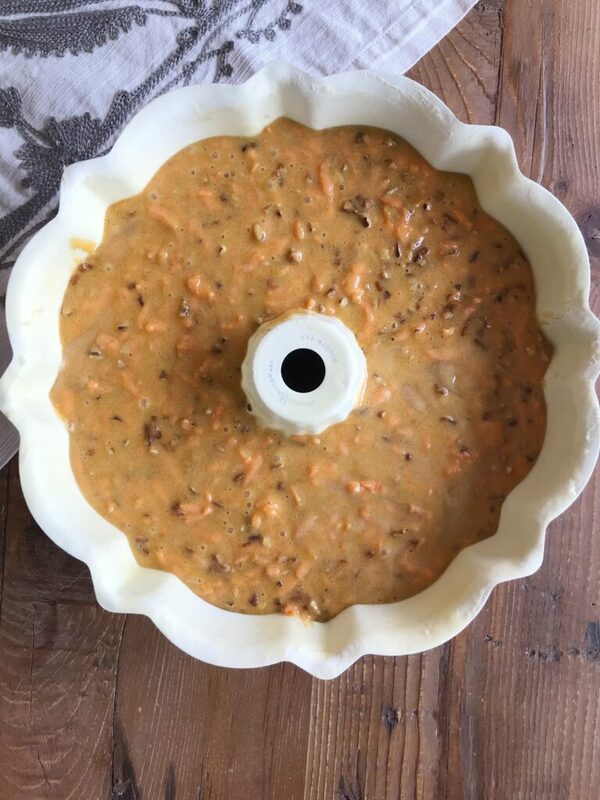 This recipe is definitely a winner! 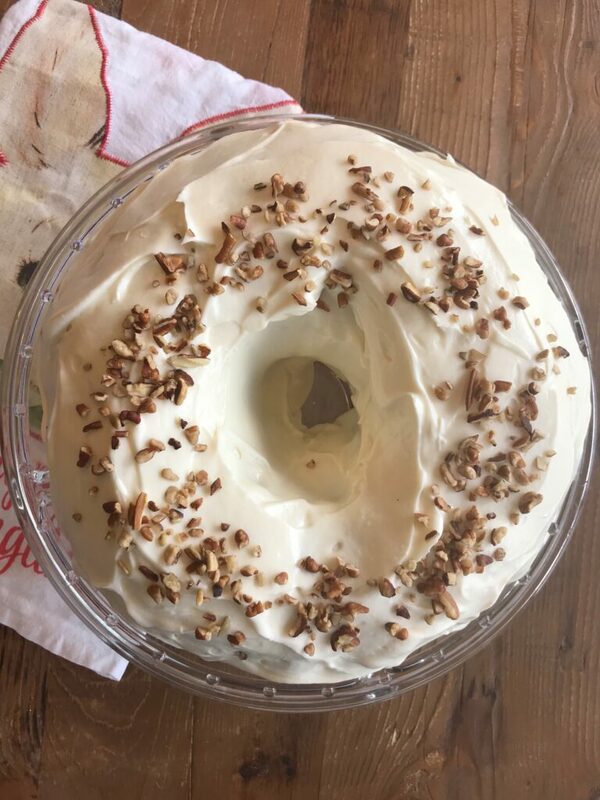 Tip: If you want to try it out at home but know your family won’t be able to eat it all, take half of it to your neighbor’s house. You’ll win “Neighbor of the Year” and they won’t mind as much when they run over a stray plastic egg when mowing later this year! 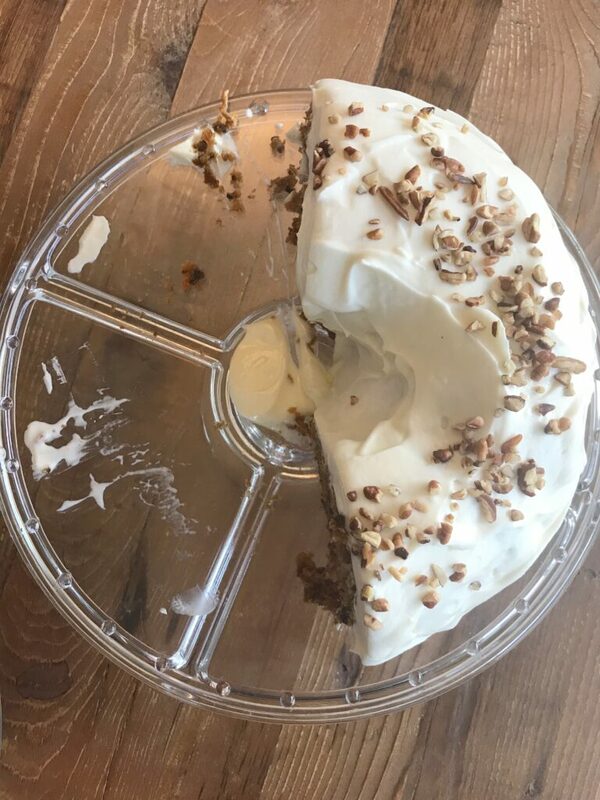 This is after I gave away half the cake…and performed a little quality control. 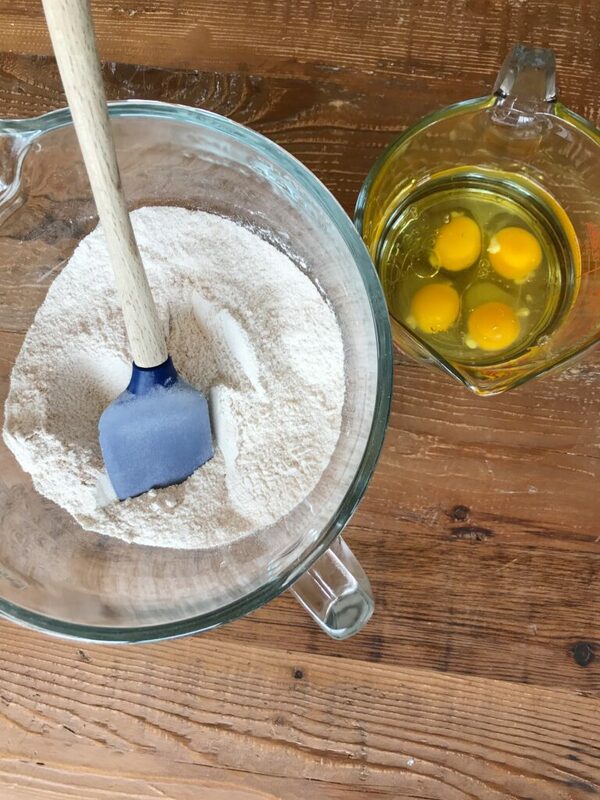 In the bowl of your mixer, stir together flour, sugar, baking soda, cinnamon and salt. Add egg and oil. Turn blender to low and blend until combined. Then, add in carrots and pecans and blend until incorporated. Pour into pan and bake for 45 minutes or until set. Remove from oven and cool 5 minutes. Turn out onto a platter with sheets of wax paper lining the edges. (This helps when frosting.) Cool completely. 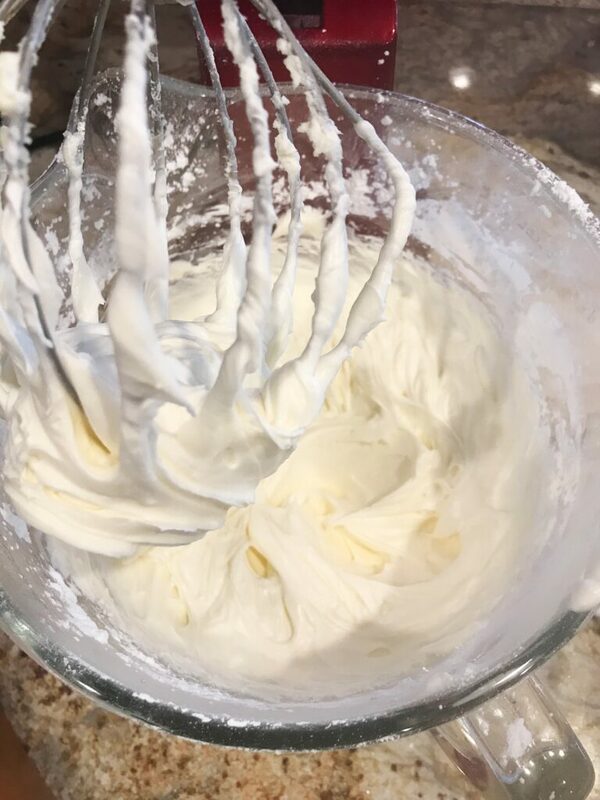 Add all ingredients except for the nuts and beat in mixer until fluffy. 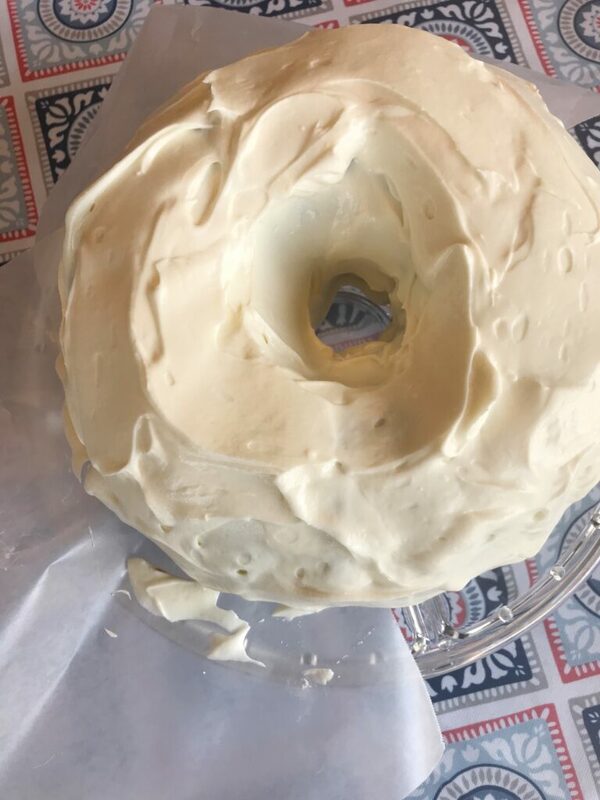 Spread frosting evenly all over cooled cake. 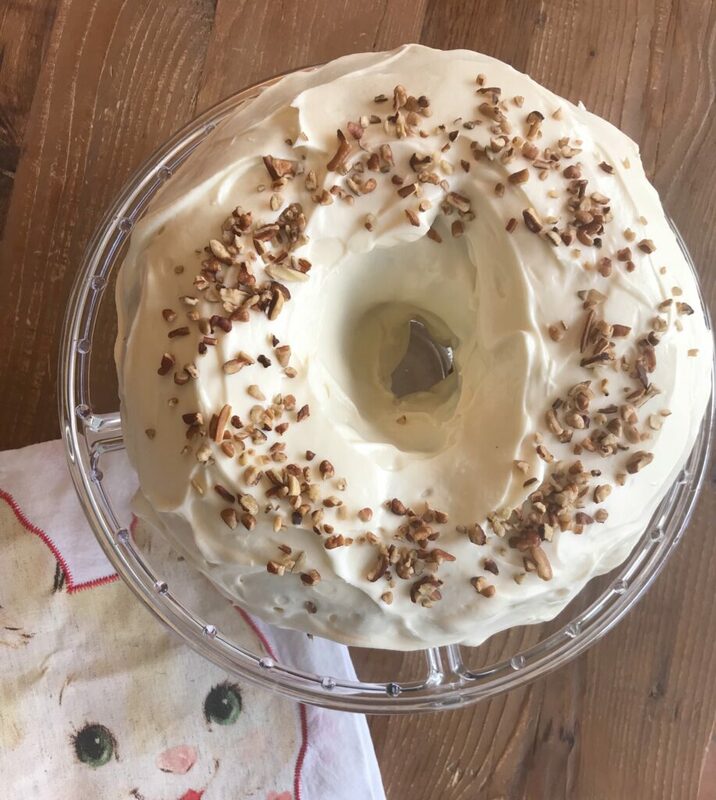 Sprinkle top of cake with chopped pecans.